Once you have your pass, you may choose 3, 4, 5, or 7 attractions to visit from amongst more than 30! 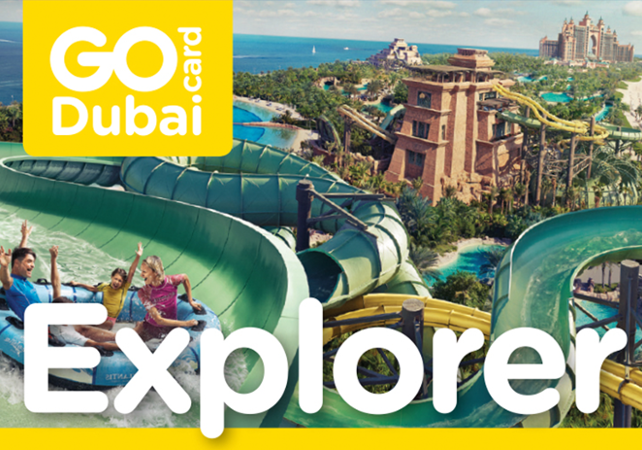 Admire the view from the Burj Khalifa, have fun at the Aquaventure water park or other attraction parks, go on a safari in the desert, see the city by hop-on, hop-off bus...there is a huge selection of activities! Your pass is valid for 30 days after first use and allows you to save big! Certain tours require a reservation (notably the desert safari and dinner cruises). In the email that contains the pass, there is a phone number to making said reservations. The reception desk at your hotel can generally make this call on your behalf.